Hideaway Land Surveying – Page 3 – an SMW Engineering Group website. Call ​Hideaway Land Surveying today at (903) 525-6405 for more information concerning your land and boundary surveying needs.You can also go to our contact page and send us a message by going here. Buying land, whether commercial or residential, is always a really expensive endeavor, regardless if prices have eased somewhat lately. That’s why selecting a lot which you like and making an agreement for it without performing a land survey within the area is likely to be the greatest mistake that one could make. Land surveyors can evaluate if you’re actually getting what you’re likely to pay for. This simply means uncover whether the sidewalks, trees, driveways and even the bird bath is part of the property you’re gonna buy. 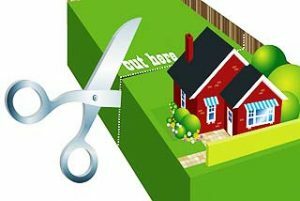 Land surveying would also check if the neighbors are encroaching into the property, which might then mean you’re going to have problems at some point with your neighbors. Having a land surveyor doesn’t only mean they evaluate which you’re getting or otherwise not getting – land surveyors are the experts, and they can help with building regulations, wetland regulations, etc. Note that that these regulations can change anytime, but land surveyors should be updated on these regulations, or they’re going to refer you to a person who is. Let’s suppose the existing landowner (the one selling the land) supply you with old land survey documents? You should still hire your very own land surveyor to determine if the boundary monuments continue to be in place. Also, land surveying done quite a while back will possibly not show recent changes to the land. When the existing survey is older than about 10 years, you must get the most current survey. Technology and surveying standards are significantly better now and may provide you more confidence in the survey work. Second, that survey was completed for that owner. He could have instructed the surveyor not to show specific factors on the drawing. At least have a land surveyor get out there and look at the parcel with this particular survey in hand. We have witnessed numerous cases where a whole new land survey would save the customer thousands so don’t become a victim. I’ve heard many individuals say having a land surveyor is nothing but unnecessary expense. I’ll show you what’s unnecessary: the worry brought on by paying thousands for something and finding yourself not getting what you were expecting. If you’re smart, you’d hire a licensed land surveyor prior to any land purchases. For any questions about land survey and how it can help you, call us at (903) 525-6405 or send us a message by going here. Land surveying, in a nutshell, is the art and science of establishing or re-establishing property corners, property lines and/or boundaries. There can be different reasons why someone needs a lot surveyed. One of the common would be to see whether a piece of land is vulnerable to flooding, to subdivide a property to sell or deed to relatives or to determine if there are any encroachments. This may happen when a neighbour disputes that you are using a piece of his lot or viceversa (for more on this, read this page). 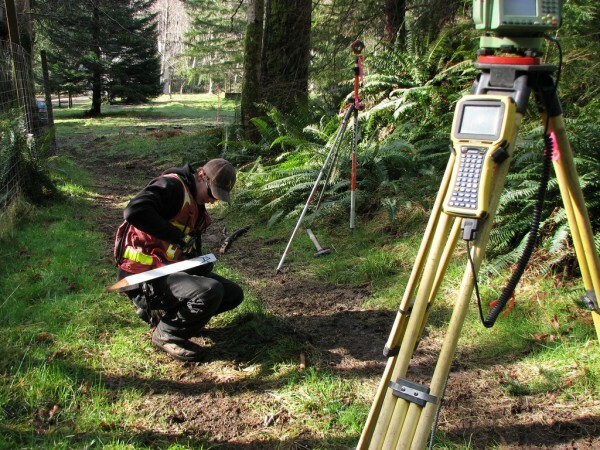 There are many factors determining how much land surveying on your land would cost. The fact that this sort of service should be done by an expert contributes a lot to the overall cost of the service, but choosing a non-professional to survey your land is dangerous, and possibly illegal for the non-professional. For this reason you should to take a good look around before settling with a surveying company. If you must work inside a particular budget, discuss this with the surveyor up-front. Many times he might manage to offer cost saving steps to get the work you need done within these cost limits. The shape of the land should also be considered. A square or even a rectangle piece of land is somewhat easier to survey than an odd shaped parcel, or one with many different sides. With the latter, the surveyor is required to spend more time in surveying the curves and the bends which means the cost of the service would increase. The overall measurements the land is also key factor here. Remember that the cost of land surveying is usually proportionate to the time and effort that the land surveyor would spend on the project. If the land that you’re having surveyed isn’t accessible, or has thick vegetation, then the total price of the survey might go higher. This is true of the weather conditions which might impact the work. Surveying in hot weather is somewhat slower to keep from putting the crew members at risk. Also, most surveying can’t be done in the rain. When asking for a quote, bear in mind surveyors base the estimate on expected conditions at the site. These conditions could change, bringing about additional costs. Always ask about these potential additional cost scenarios. All that being said, competitive prices are also to be expected, which is why we recommend choosing a surveyor according to his experience and reputation instead of on the price he writes on a piece of paper. Mostly it is far better to spend a good amount of money on a survey that’s well-done rather than select a company with a very “affordable” price but have the survey repeated because the results were wrong. To sum up, it is best to discuss the expenses of the survey prior to ask the surveyor to begin with his work. It’s also advisable to receive a contract that lets you understand what is expected of the land surveyor. This is one of the most important steps in getting your land surveyed. For a free land surveying quote, call ​Hideaway Land Surveying at (903) 525-6405 or send us a message by going here.